One of, if not the original, locations for religious freedom in the United States during the wake of the Colonial Era, Maryland was initially seen as a refuge for persecuted Catholics. Today, Maryland has the highest median household income per capita of any state and is one of the smallest as well as one of the most densely populated. Maryland’s location to Washington, D.C. has afforded the state a great deal of prosperity. In accordance with this prosperity are technical and administrative duties for the nation’s capital. A great deal of Maryland’s roads see heavy monitoring and regulation – once again due to the state’s proximity to D.C. – in hopes of ensuring less accidents and better productivity on the roads. With its location along the Atlantic coast, its proximity to Washington, DC and its wealth of natural resources, Maryland is a hub of activity with one of the busiest ports in the country. Maryland also has one of nation ‘s strongest transportation networks with diesel powering its entire freight industry and essential to the state’s agricultural, marine and tourism industries as well. A reported GDP of $268 billion, Maryland is the nation’s 15th largest and with its exports valued at $11.4 billion in 2008, its more than double the national growth rate. Its no surprise that the trucking industry is what drives Maryland's economy, delivering 87% of manufactured goods in and out of the state and with over 93% of its communities relying on trucks for their daily essentials, it is one of the most truck dependent states in the country. In 2012 the US Bureau of Labor Statistic reported there were 11,190 trucking companies located throughout Maryland, providing 102,880 jobs and paying almost $5 billion in annual wages. That means one in 19 jobs are created by Maryland's trucking industry with an average annual salary of $47,443 for its truck drivers, well above the state's overall average wage. Maryland already reports having over 170,000 Commercial driver's license (CDL) holders and the good news is that the state needs plenty more. While the cities with the most truck driver jobs include: Baltimore, Frederick, and Gaithersburg, companies are hiring truck drivers all over the state and the range of positions vary greatly. From local delivery positions that have you back home with your family each night to interstate long-hauls that pay much higher being gone for weeks at a time, it all depends on what type of job best suits you and where you're at in your life. TruckDrivingJobs.com can help you find the ideal truck driving job that you have in mind. We provide you immediate, up to date job postings of Maryland companies seeking all types of truck drivers, all over the state. We also help you take the next important step in applying for these jobs, immediately, without wasting time. We do things the way today's truck driving companies run their business and hire their employees, using the efficiency and immediacy of everything on-line. Our e-application process will allow you to get the ball rolling with Maryland trucking companies within seconds and beating the competition for the same ideal jobs. In order to put your best foot forward and better ensure your chances at landing these jobs, you must determine how well your experience and qualifications measure up. Maryland trucking companies need people to fill these positions, so even if you don't quite meet the requirements consider what alternatives would suffice between you and the employer. Do they offer paid training? Would you be willing to do what is required to upgrade your CDL? Maryland has plenty of trucker jobs waiting for you and TruckDrivingJobs.com is already here to get your job search in gear and your career on the road to success. Below are list of companies currently hiring within maryland. Call 202-607-4441Based out of Temple Hills, E A M Towing Service owns 249 trucks and primarily transports Car hauling, Reposession & Towing. Call 301-265-9268Based out of Ft Washington, A & J Hauling Company owns 901 trucks and primarily transports Dirt/Sand. Call 443-829-2200Based out of Windsor, P D Towing owns 567 trucks and primarily transports Car hauling, Reposession & Towing, Machinery, Oversized loads such as Farm Mining or Oilfield equipment. Call 301-898-0718Based out of Keymar, L & L Skidloader & Lowboy Service owns 860 trucks and primarily transports regular Flatbed & Reefer loads, Logs, Poles, Beams, Lumber, Building Materials, Machinery, Oversized loads such as Farm Mining or Oilfield equipment, Construction equipment. Call 301-633-2234Based out of Laurel, C & J Delivery Service owns 234 trucks and primarily transports regular Flatbed & Reefer loads, Household Goods, Machinery, Oversized loads such as Farm Mining or Oilfield equipment, Fresh Produce, U.S. Mail, Dry Van, Beverages, Paper Products, APPLIANCE. Call 410-239-2488Based out of Upperco, K & L Contracting owns 747 trucks and primarily transports Building Materials, Farm Supplies, Construction equipment. Call 301-738-1608Based out of N Potomac, Yang Lu owns 668 trucks and transports all kinds of freight. Call 301-516-2540Based out of Riverdale, B & H Towing owns 574 trucks and primarily transports Reposession & Towing. Call 301-675-1806Based out of Mitchelville, S & G Transport Service owns 102 trucks and primarily transports Sand & Dirt & Gravel. Call 410-799-3144Based out of Jessup, A & R Transport owns 411 trucks and primarily transports regular Flatbed & Reefer loads, Household Goods. Call 410-860-1760Based out of Hebron, F D Eure owns 147 trucks and primarily transports Logs, Poles, Beams, Lumber. Call 410-482-8944Based out of Greensboro, G A Shapard Floorcovering owns 187 trucks and primarily transports Construction equipment. Call 301-441-3352Based out of College Park, Restaurant owns 233 trucks and primarily transports Fresh Produce, Refrigerated Food, Beverages, Paper Products. Call 410-438-3673Based out of Millington, Yoder's Bobcat & Backhoe Service owns 568 trucks and primarily transports Machinery, Oversized loads such as Farm Mining or Oilfield equipment, Construction equipment. Call 301-455-5712Based out of Silverspring, U S Carriers owns 222 trucks and primarily transports regular Flatbed & Reefer loads, Fresh Produce, Refrigerated Food. Call 301-582-3793Based out of Fairplay, J & J Excavating owns 699 trucks and primarily transports Building Materials, Dirt & Gravel. Call 410-658-4184Based out of Rising Sun, B & D Trucking owns 397 trucks and primarily transports regular Flatbed & Reefer loads, Construction equipment. Call 410-734-7595Based out of Belar, S & S Enterprises owns 386 trucks and primarily transports Car hauling. Call 301-831-9155Based out of Mon Rovia, T & M Builders owns 435 trucks and primarily transports CRANE. Call 240-375-6812Based out of Dowell, K A Curtis Construction Co owns 209 trucks and primarily transports Building Materials, Construction equipment. Call 301-277-3681Based out of Hayttsville, J & D Trucking Services owns 449 trucks and primarily transports Dirt, Dirt & Gravel. Call 410-789-9460Based out of Limthicum, Valcour Med owns 758 trucks and primarily transports regular Flatbed & Reefer loads, Beverages, Paper Products. Call 301-358-1828Based out of Upper Marlboro, Trucking owns 118 trucks and primarily transports regular Flatbed & Reefer loads, Household Goods, Car hauling, Building Materials, Toxic Materials. Call 410-538-5500Based out of Edgewood, C & D Technologies owns 702 trucks and primarily transports electrical supplies. Call 301-762-5745Based out of North Potomac, M & G Trucking Co Of Gaithersburg owns 559 trucks and primarily transports Fresh Produce, Sand & Dirt & Gravel. Call 703-960-4002Based out of Greenbelt, Icicle Express owns 350 trucks and primarily transports regular Flatbed & Reefer loads, various metals such as Brass, Titanium, Copper, Iron, Logs, Poles, Beams, Lumber, Building Materials, U.S. Mail, Beverages, Paper Products, Farm Supplies, Construction equipment. Call 410-287-5598Based out of Elkton, A & A Mobile Home Sales owns 150 trucks and primarily transports Mobile Homes, Machinery, Oversized loads such as Farm Mining or Oilfield equipment. Call 301-387-6194Based out of Mchenry, G & D Beitzel Logging owns 231 trucks and primarily transports Logs, Poles, Beams, Lumber. Call 410-612-0533Based out of Abingdon, L & E Bustamante Concrete Co owns 153 trucks and primarily transports Building Materials, Machinery, Oversized loads such as Farm Mining or Oilfield equipment, Construction equipment. Call 410-878-2551Based out of Ocean City, C & D Trucking owns 529 trucks and primarily transports Petroleum Gas & Natural Gas, Toxic Materials. Call 410-734-6708Based out of Churchville, V I P Horse Transport owns 110 trucks and primarily transports Livestock. Call 301-948-0010Based out of Ijamsville, O'leary Asphalt owns 844 trucks and primarily transports Machinery, Oversized loads such as Farm Mining or Oilfield equipment, Construction equipment. Call 410-761-3313Based out of Ferndale, T And B Express owns 635 trucks and primarily transports Reposession & Towing. Call 301-567-6193Based out of Fort Washington, C & H Towing owns 168 trucks and primarily transports Car hauling, Reposession & Towing. Call 410-742-9244Based out of Fruitland, K A P Contracting Co owns 647 trucks and primarily transports Logs, Poles, Beams, Lumber, Building Materials, Machinery, Oversized loads such as Farm Mining or Oilfield equipment, ELECTRICAL MATERIALS. 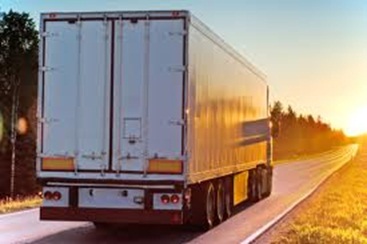 Call 301-237-8170Based out of Capital Hts, Q Services owns 138 trucks and transports all kinds of freight. Call 410-287-9361Based out of North East, J & D Transport owns 836 trucks and primarily transports regular Flatbed & Reefer loads, Household Goods, Dry Van, Refrigerated Food, Beverages, Paper Products, STONE, Dirt. Call 301-695-5166Based out of Knoxville, B & B Towing & Auto Repair owns 847 trucks and primarily transports Car hauling, Machinery, Oversized loads such as Farm Mining or Oilfield equipment. Call 301-899-8031Based out of Temple Hill, S & H Plastic owns 758 trucks and primarily transports regular Flatbed & Reefer loads, Household Goods, Paper Products. Call 410-257-2878Based out of Chesapeake Beach, E F Jones Excavation owns 540 trucks and primarily transports Sand & Dirt & Gravel. Call 301-253-4122Based out of Haytonsvillle, M & J Towing owns 152 trucks and primarily transports Car hauling, Reposession & Towing, Construction equipment, TOWING AUTOS. Call 410-378-4074Based out of Port Deposit, N W Workman Trucking owns 272 trucks and primarily transports Petroleum Gas & Natural Gas. Call 301-831-6600Based out of Monrovia, H F Payne Construction Co owns 523 trucks and primarily transports regular Flatbed & Reefer loads, Car hauling, Logs, Poles, Beams, Lumber, Building Materials, Machinery, Oversized loads such as Farm Mining or Oilfield equipment, Construction equipment. Call 301-862-2248Based out of St Mary City, E F Haull Contractor owns 100 trucks and primarily transports Dirt & Gravel. Call 301-839-1604Based out of Oxon Hill, A & H Hauling Services owns 149 trucks and primarily transports Garbage, Refuse, Trash, Sand, Dirt & Gravel. Call 301-432-8799Based out of Sharpsburg, D & J Trucking owns 909 trucks and primarily transports Dirt & Gravel AND Sand,DIET. Call 301-334-8221Based out of Mount Lake Park, J & B Logging owns 761 trucks and primarily transports Logs, Poles, Beams, Lumber. Call 301-463-2443Based out of Nikep, G & L Trucking owns 520 trucks and primarily transports Coal, Coke. Call 301-277-0745Based out of Mt Rainier, R & L Trucking owns 510 trucks and primarily transports Dirt/STONE/Sand.